what kind of nonsense is thi . 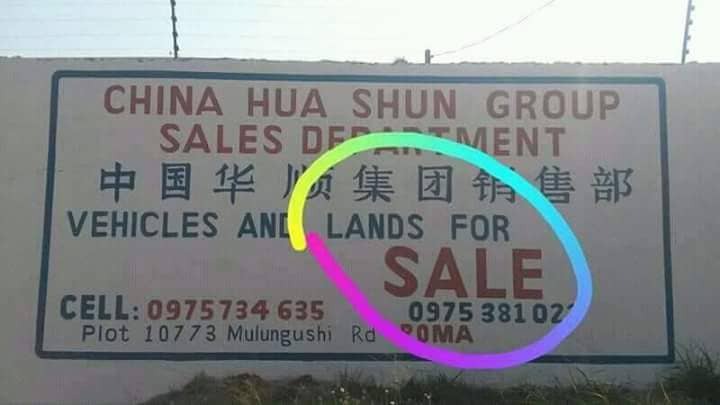 surely can you go and sale land in china?who has given authority to these monkeys to behave the way they are behaving?Zambians lets work up. On some of the rare occasions when I listen to dead nbc chitotela is talking of building 20000 housing units with some Chinese contractor. I think there is no end to borrowing for these guys, when is enough borrowing enough?